We are very glad to welcome also the districts of Harburg, mittelsachsen welcome app since the last update. 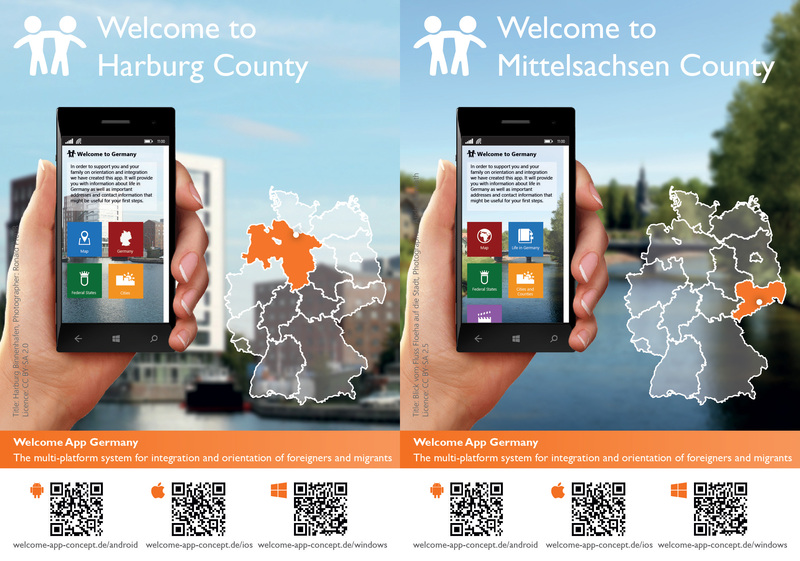 Like many other counties and cities previously, even Harburg and means things have recognized the innovative approach of our app, as well as the real added value for immigrants and migrants, but also workers and competent authorities – which resulted in the designation for integration into the app. For the districts of Harburg and means things are starting immediately information about the subjects "Life and everyday life in Germany", "Migration", "Immigration", "Asylum", "rights and obligations", content to the coexistence in Germany and even linguistic support using phrases available – in the languages German, English, French, Russian, Arabic and Farsi.